I have been hungry the past two days. Paying close attention to the why, I realized I had the same hunger 28 days ago. Checking 'My fitness pal' I see that I had it 28 days before that, too. But Jane, after a hysterectomy and at age fifty one you must be beyond that monthly stuff now, right? My mom slammed into menopause at 43. Not so her daughters. Let's remember that my sister had her baby boy two years ago, at age 46. According to her OB-GYN she is still Myrtle the Fertile. (Myrtle is not her name). I had a hysterectomy but I still have my ovaries and they still send out the hormones. In fact at last blood test, I was still sending out eggs on schedule. I am hungry because my body is in that premenstrual mode and my response is often to seek more food. By keeping track of my daily food, appetite and feelings I stay aware of why I feel hungry and I can use my tools to stay on plan and not overeat just because hormones in my body are screaming 'feed me'. 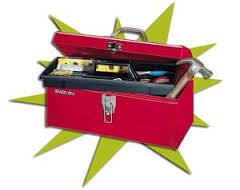 I need to utilize every tool in my box of tricks because knowing why I am hungry is, by itself, not enough to keep me from choosing food over sanity. I realize this and I reach for help. For most of my life, when I had a monthly period with cramps I used chocolate as 'the remedy'. I did this for decades. Sadly, my daughters learned this behavior from me. With any luck the cycle will end with their generation and their future daughters will not think chocolate is a holy cure. Chocolate does not cure or heal. Right now I am not even thinking chocolate. I am thinking bread and butter and custards and puddings. Oh, and salt. Dream on hormones. I am staying on plan and reaching for help. Spending some time with like minded people tonight. By tomorrow I should be feeling better. It pays to be aware. We can spare ourselves a repeat of the cycle of three G's- Gain, Guilt and Grief. The cycle does does not have to repeat. I don't know if you will remember this, because it is my minutiae, but I was having a real dizziness problem the winter before last. And I thought it was hormone related, because it tied into my cycle. It turned out it was SALT related. So it was tied into my cycle, but not in an inevitable way. And I was not ingesting a huge amount of salt (especially in comparison to most Americans), but it was a higher than normal amount for me. I can think of another blogger I know who sends herself into secondary conditions EVERY month, because she gives into cravings and then has (a somewhat) severe reaction/problem. She knows this on some level, but continues to ingest the wrong things (and then ends up in ER or at doctor's office more often than not). I am a myrtle at age 52 also. Huh. I am wondering now if Vickie is considering having another child. MAYBE. This is the second sorta comment. I see a trend forming! I am wondering how you blunt it. The feeling of I want even when you know why you are feeling it? Knowing the reason does not seem to be enough for me to stop it sometimes. My worst is when I am feeling frustration with my hubs. We are together 24/7 so it happens. I want to go to the kitchen and soothe myself with food. I can usually stop it, but sometimes not and I feel really pissed at him and myself while gobbling that cheese! My alternative is telling myself that I am just frustrated and not hungry and to go for a walk. It works... sometimes. Or I go to my list of things that need doing (like cleaning and organizing). I gave in to day #1 this month. Couldn't help it. Not a binge, but yes, some overeat. So thrilled that #1 is over. It's surprising that more women don't do something criminally crazy on day #1. I had a D&C and ablation in 2008, so no babies here. Not to mention I am 52. Middle wishes something fierce that I had kept with my four year thing for two more babies after youngest. I would have a second grader and a sixth grader this year. And sometimes I wish I had. I live in a community with lots and lots of big families. I have always felt like I was missing a couple kids. My husband keeps telling me grandchildren will fill the need whenever they start arriving. Munch - rewriting neuropathways is the answer (in my opinion). It is what you describe, substituting one response for another. Just have to be careful what they are. I went through menopause while I was loosing the 72 pounds, then hit it officially about a month ago (1.5 years into maintenance). 1. Cravings have stopped. Any binge emotional eating is due to stress/tiredness and not time of the month related. 2. My weight still cycles up (2 pounds or so) drastically in one day, then takes 2-3 to level back out. It's my cycle, without the bleeding. 3. 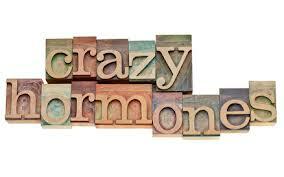 I have fewer hot flashes and night sweats totally off all grains and processed sugars. Lower inflammatory and a little on the lower carb side- say 50 grams(loss) and then 50-80 grams (maintenance) helps. 4. My sleep is way better with the lower carb and grain free/ processed sugar free diet. It is tough stuff, day in day out, meal in meal out. Then at some point- it's just normal. New normal. Good luck with what works for you. I will say that working through it long and hard over 1-2 years is worth getting the food template that is for you. Customized, weight maintain and the health benefits will follow... Karen P.
Great post! At almost 49,I'm still a Myrtle as well. No sign of end to this monthly madness, sigh. I admit to succumbing to that every-28-day "hunger," need to find a fix other than chocolate. Thank you for the inspiration!